Band to Fan music startup Aurovine.com has announced an innovative launch day initiative called download store day. Bands are being asked to give away a studio track, rare demo or live song to 'liberate' them from the bootleg community. The bands can give it away free or sell it on a pay what you want basis with proceeds going to a nominated charity. Many bands have been bootlegged over the years either with or without the bands consent. In many cases this has extended the fan base and increased interest in the bands work. The only downside of course is that the band did not see any financial returns. 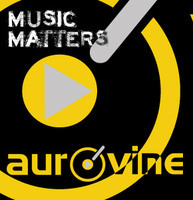 Aurovine's idea is for artists to liberate these recordings officially and take some control over them. The website has some radical ideas for the way music is distributed. They aim to promote bands through syndicated genre charts and promote ethical transactions by asking bands to put minimal basic prices on their work and letting fans pay what they think the material is worth. This seems to be a far fairer approach than services such as Spotify. Aurovine's system sees bands rewarded fairly whilst fans get to set the price paid. The Founders of Aurovine believe that fan empowerment is the most powerful solution to online piracy. They believe the large majority of genuine music lovers want to pay for their music and they want to set and pay a fair price. "We've already had some well known artists contact us with reference to our download day idea and fans can look forward to some rare music surfacing on Aurovine during our launch period." said Director Ken Foster. A large majority of fans approached during Aurovine's market research period said they felt alienated by the major labels dictating prices and not moving with the times in terms of technology and the demand for interaction in the digital domain. On the face of it, Aurovine's philosophy makes sound business sense and it will be interesting to see if a company with an independent ethos can take on the digital heavyweights with established business models. Bands and fans can register at aurovine.com to find out more. Download store day will take place on May 11th 2012. The nominated charity is still to be announced.